It’s no secret I loved London Belongs to Me. All you have to do is look at my bookstagram account and the dozens of pictures I’ve posted featuring this beautiful book. I was excited when I learned there would be a sequel, and yet also nervous because while I was curious where Alex’s story would go, sequels can be so hit or miss. I shouldn’t have doubted Jacquelyn Middleton, though; I loved the continuation of Alex’s story. London Can You Wait picks up a year after where London Belongs to Me left off. Alex is settled in her life in London and in a committed relationship with Mark. While she still loves the city and her hot Irish boyfriend, things aren’t perfect. Mark’s work schedule, paired with his people-pleasing personality, plus Alex’s own personal issues, create a lot of tension and anxiety for the young playwright, and just as much strain on Alex and Mark's relationship. This book was an emotional rollercoaster. There were so many twist and turns and unexpected events. It dealt a lot with secrets, half-truths, lies, and omissions, and the repercussions that come with all those things. Several really upsetting things happened that made parts of the book difficult to read. Certain things made me angry, but I also had to appreciate how those things were realistic. Middleton took a gutsy risk and it paid off. Life can be messy and complicated. Unexpected things happen all the time, and they’re not always good things. People sometimes make bad, stupid, destructive decisions, or even decisions that seem right in the moment. These things are all part of life, and especially part of growing up. Alex experienced a lot of growing pains, but her struggles made her a stronger person, and I loved seeing her find her way. I also appreciated that Alex’s anxiety, which was a big part of London Belongs to Me, was still a big part of London Can You Wait. Many of the things I loved about London Belongs to Me were present in London Can You Wait, like the nerdy references and the strong friendships. I loved Lucy and Freddie just as much in this book, and I loved how they each had their own storylines, too. I also enjoyed getting to see more of London and Manchester, as well as a few new settings. It’s obvious Middleton did her research when it comes to locations because I always feel like I was right there with Alex and the others. 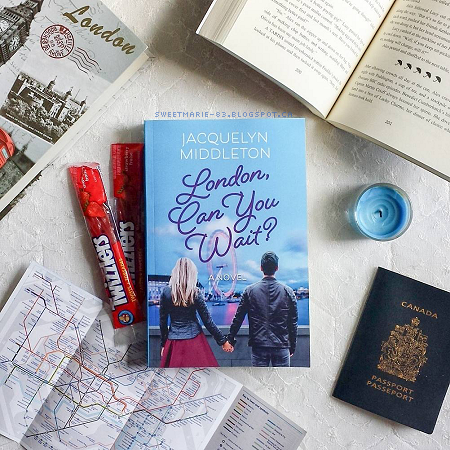 My favourite type of books are ones with a strong emphasis on character growth and development, which is part of why I love London Belongs to Me and London Can You Wait so much. They focus on Alex’s journey - as an artist, as a woman, as someone with anxiety, as someone falling in love and learning it’s not always sunshine and roses. I love the romance between Alex and Mark, but it’s Alex’s personal journey that resonates most with me. London Can You Wait is full of heart and humour. 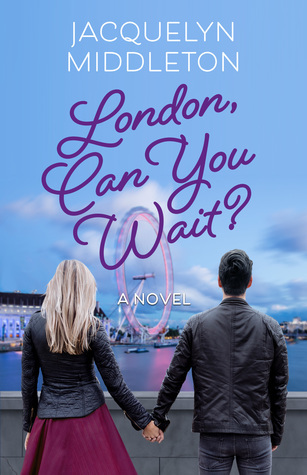 It’s a must-read for all the nerdy Anglophiles out there, as well as lovers of romance and women’s fiction. I’d love to see these books made into a TV show featuring a diverse cast of twenty-somethings. Have you read London Belongs to Me or London Can You Wait? What did you think? What's your favourite place to read about? Do you like coming-of-age books?